U.S. industrial designer who graduated with a BFA from Notre Dame University in 1933, received an engineering certificate from Purdue University, and an MFA at the Institute of International Education, Charles University, Prague, Czechoslovakia, 1933-1934. He worked from 1935 to 1939 with John Gordon Rideout in Cleveland, Ohio and later with Revere Copper and Brass. In 1944, he joined General Electric (GE) in Bridgeport, Conn., and in 1948, after the death of his predecessor, Ray Patten, he was named director of design, He changed the name of the department of 50 designers and modelmakers from "Appearance Design" to "Industrial Design." He re-located to Louisville, Ky., in 1950 and became GE's manager of industrial design for major appliances. In 1955 he became president of the American Society of Industrial Designers (ASID). He remained active in ASID and its successor, IDSA, until his retirement. 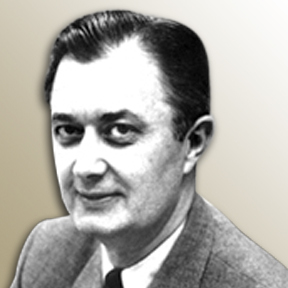 In 1957 he and Robert W. Blee designed a new Kitchen Center for GE. The nine-foot long grouping included a combination washer/dryer, a disposall-equipped sink, a dishwasher and a range with oven--all under a single, seamless stainless steel countertop. By 1965 he had a staff of 45 in Louisville. General Electric opened a new Applied Research and Design Center in 1971 in Louisville for major appliances, which included the Industrial Design Operation and a staff of 50 under Arthur's direction. He remained there until his retirement in 1976.